A busy, long blog post today – make sure you scroll right to the bottom so you don’t miss anything! There’s my review of My Sister’s Child by Caroline Finnerty, an interview with Caroline and lots of information about her and how to get in touch. 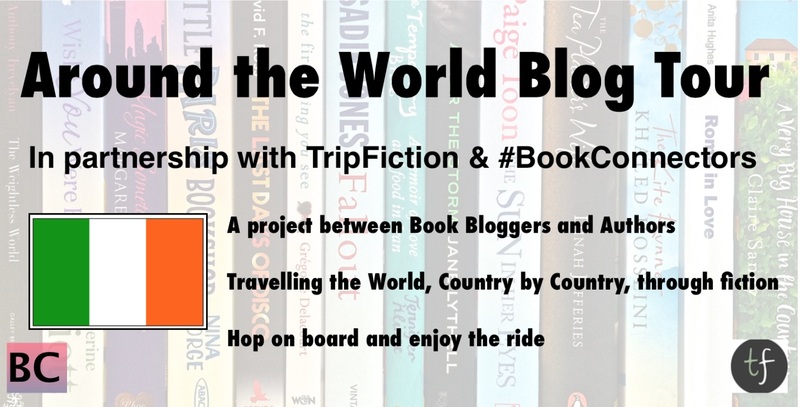 The Around The World Tour is a partnership between TripFiction and #BookConnectors ~ bloggers and authors, travelling the world, through fiction. We encourage book promotions; information about competitions and giveaways; news of events, including launch events, signings, talks or courses. Talk about new signings, about film deals …. anything really. Book Connectors is a friendly group, there are no rules or guidelines – just be polite and respectful to each other. My Sister’s Child is one of the most thought-provoking books I have read in a while. It tells the story of Isla and Jo, sisters who don’t have the closest of relationships. Jo has always been a high-achiever, worked hard at school, works hard as a lawyer and works hard at doing the best for her husband Ryan and daughter Reiltin. Isla helped Jo in the most altruistic way some years back and now hopes her sister will return the favour. Jo is horrified and refuses to consider it, leading to some awful arguments, not just with Isla but also within her family. My Sister’s Child has at its centre a moral dilemma and it’s difficult to talk about the book without revealing what that dilemma is, although you may guess from some of my comments! I was generally on Isla’s side. She had been so generous in the past and enabled Jo to have something she wanted so badly. I couldn’t understand why Jo wasn’t willing to do the same for her sister and seemed unable to understand that Isla had the same desires as her. It is a very complicated situation ethically and one that will make you think about how you might feel if you were in the same position. Caroline Finnerty offers many portraits of motherhood throughout her book. Jo and Isla’s mother died when they were young, having not always been the best mother, although the reasons for that were, to an extent, understandable. This effectively left Jo mothering her younger sister which perhaps explains why their relationship isn’t quite a sisterly one. Jo herself is a very protective mother, always wanting to do the absolute best for her only child – although teenage Reiltin is beginning to find this a bit smothering! Isla has reached the age where she longs for and dreams about a child of her own and feels that time could be running out. Her relationship with her niece is very close, a fact that makes Jo rather jealous. A strong theme of the book is that of nature versus nurture and you will consider this a lot as you read. As Isla’s boss Greg says “It’s complicated, that’s for sure. Which is the real parent – the person a child shares their genes with or the person who raises the child?”. Jo is a firm believer that nurture is what makes a person, not their genetic background. And yet, she and Isla are very different people even though they have the same nurturing as children. It is something I am not sure about. In general, I do believe that nurture is what makes a difference in the adults we become but then there are families where everyone seems totally different. It’s certainly an interesting subject and one which even those who have studied it in depth can’t agree on. This review seems to have turned into a bit of an essay but I hope that you can tell that I thought this was a superb, well-crafted book. My emotions were all over the place along with the characters: anger, heartbreak, worry but ultimately hope. It’s a compelling read and one that I am sure will make you think about your own experiences of parenthood, either as parent or child, and to what extent that shaped you. I am sure you will also wonder what you might have done were you in either of the sisters’ positions. Thanks for agreeing to visit my blog Caroline. First of all, would you tell me a little about yourself? 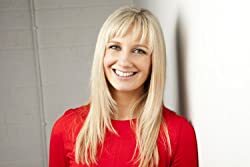 Hello, my name is Caroline Finnerty and I am the Irish author of the books ‘In a Moment’, ‘The Last Goodbye’, ‘Into The Night Sky’ and now ‘My Sister’s Child’. I live on the banks of the Grand Canal in Co. Kildare with my husband, our 3 small children and our dog. Well I always been a bookish child and then as a teenager I was the weirdo that enjoyed getting essays for homework. I went on to study Biotechnology in university and loved writing up my lab reports. Around this time I had an idea that I thought would make a great story so I started writing it down and I really enjoyed the process of putting the words from my head to the paper and then going back over them again. It was then that it clicked with me that I actually enjoyed writing, both the creative side and the process of crafting the words too. I was writing away throughout my twenties and going to creative writing classes by night or at the weekends and I had a few half-finished books. It wasn’t until after I had my first child in 2009 that I had the idea for what ultimately was to become ‘In a Moment’. It was inspired by that vulnerability you feel after you become a parent for the first time. Unlike my previous attempts at writing a book, I really wanted to finish this story and kept coming back to it. I sent it off to Poolbeg and then I got that magical call when I was heavily pregnant on my twins to say that they would like to offer me a three-book deal. 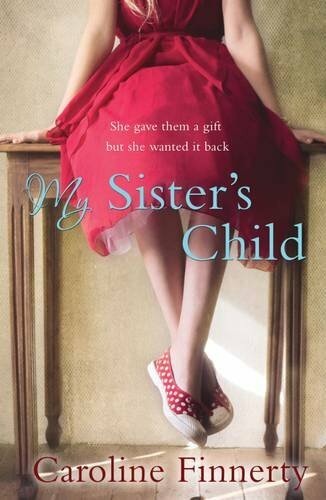 My current book ‘My Sister’s Child’ is the story of two sisters, Jo and Isla. Jo is the elder sister, responsible and hardworking whereas Isla is carefree and has always avoided being tied down. The sisters have always had a strained relationship, but when Isla asks Jo for something that rocks the very foundations of the family that Jo has worked so hard to have, she is horrified. And, as Isla persists in her pleas, Jo fears she will lose the one thing she holds most dearly. Like all my books it has the theme of ‘nature versus nurture’ at its heart and I hope it will challenge the way you think of motherhood. I sure do. I am working on a book called ‘The Lies She Told’ and it’s the story of a single father called Ryan who discovers a letter belonging to his late wife, which has devastating consequences for him and his entire family. I had started it earlier in the year but we were broken into and my laptop was stolen. I lost some of the work because I didn’t have it backed up properly (lesson to everyone out there!) so I wasn’t able to face looking at it there for a while because I was afraid of seeing how much work had been lost but I’m getting stuck into it again. ‘The Last Days of Rabbit Hayes’ by Anna McPartlin and ‘I let you go’ by Clare Mackintosh were both great reads. I am reading ‘Lila’ by Marilynne Robinson. I was intrigued purely because I have a daughter called Lila. I read every night in bed before I go to sleep. I actually can’t sleep if I don’t read; it’s my trigger to switch off from the day. I do have a Kindle but I find I tend to forget about the books that I have bought on it so they tend to sit there in favour of my towering to-be-read pile of paperbacks. I think it would have to be Cecilia from ‘The Husband’s Secret’ although without the husband-having-a-secret bit. I’m very jealous of how organised and perfectly structured her life was and I have a secret love of Tupperware. It really is a fascinating topic.